The late hour slandering of an opponent has come to be called the October Surprise and considering the volatile history of this year’s campaign we should be prepared for copious disclosures of gargantuan proportions. Not mere October Surprises, but October Lightning Bolts Tossed by Odin Himself, October 80 Megaton Hydrogen Bombshells and October Exposes That Will Make Your Mouth Hang Open Long Enough To Attract Bottle Flies. And with one week of November in the mix this time around, even more delicious salacious wickedness awaits. Here’s a sample of the advertent and inadvertent we can expect in the final five weeks of this- The Most Important Election of Your Lifetime. Yes. Again. OCTOBER 3. Moveon.org posts a video of Donald Trump shouting the phrase “You’re fired” to photos of family members. OCTOBER 4. During the Vice Presidential debate, moderators and Longwood University audience members inexplicably fall asleep. Later the CDC dubs the new phenomenon “MDHS: Mass Droning Hypnosis Syndrome” and urges the FCC to prohibit future events from being broadcast on car radios. OCTOBER 10. Photographs showing Donald Trump poking a group of special needs preschoolers with a stick are laughed off by the candidate as “political correctness run amuck.” His poll numbers rise. OCTOBER 14. On route to a campaign stop in South Carolina, Hillary Clinton rushes into a burning building to rescue a litter of newborn kittens. Her poll numbers do not budge. OCTOBER 22. Donald Trump explains that pushing an old lady in a wheelchair down a flight of stairs was a therapeutic attempt to jar loose her cramped muscles. His poll numbers rise. OCTOBER 28. Murky footage from a surveillance camera of Donald Trump shooting a stranger in the middle of Fifth Avenue in New York City racks up 3 million hits on Youtube in 4 hours. His poll numbers rise. NOVEMBER 1. A report surfaces that Donald Trump has a calendar in which October has 32 days. The candidate agrees many people have told him this. Important people. Top people. Despite evidence to the contrary, supporters feel in their heart that it must be true and make plans to vote a day late. Copyright © 2016, Will Durst. 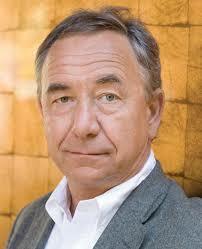 Will Durst is an award- winning, nationally acclaimed columnist, comedian and former tour guide at Eagle Cave in Richland Center, Wisconsin. For a calendar of personal appearances including his new one- man show, Elect to Laugh: 2016, appearing every Tuesday at the San Francisco Marsh, and September 29- October 1 in Colorado, go to willdurst.com.